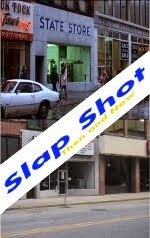 During the hockey offseason it seems as if time stands still. You look at a calendar and it seems like September will never come. In between the last game of the season, and the start of a new one, teams are very busy preparing themselves for the long road ahead. Tryout camps, drafts, training camps, and exhibition games are all on the schedule, but there’s nothing like real meaningful hockey. Well, after months of preparing, and hard work by the players and coaching staff on and off the ice, games will once again start to count. The 2014-2015 season is here. 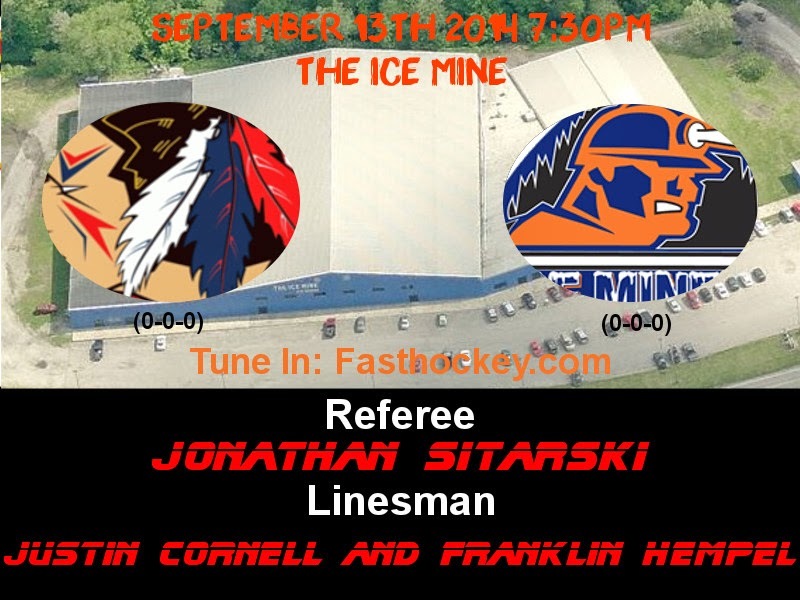 Like the two previous seasons before this one, Johnstown will faceoff against it’s rival the Keystone Ice Miners. Of course before this season the Ice Miners were known as the Port Huron Fighting Falcons. A heated rivalry between the two teams will only become more intense now that the teams share the same state, and are only separated by a mere 64 miles. The last two seasons have seen the Tomahawks bounced out of the NAHL playoffs by the Ice Miners. Now under new head coach, Mike Letizia, the team looks for a role reversal in scenario. But before any team can look at the playoff picture, they first have to clinch a playoff spot, and you do that by winning regular season games. Johnstown finished last season with a record of 28-27-5, good for fourth place. The year before they finished with a record of 27-21-12, good for fifth. Both years were coached by Jason Spence, who did not have his contract renewed for this season. Can the Tomahawks finish higher than fourth place? Can the Tomahawks go further than the first round of the playoffs? Only time will tell, but their first test comes tomorrow (September 13th) as they head to Connellsville to take on the Keystone Ice Miners. 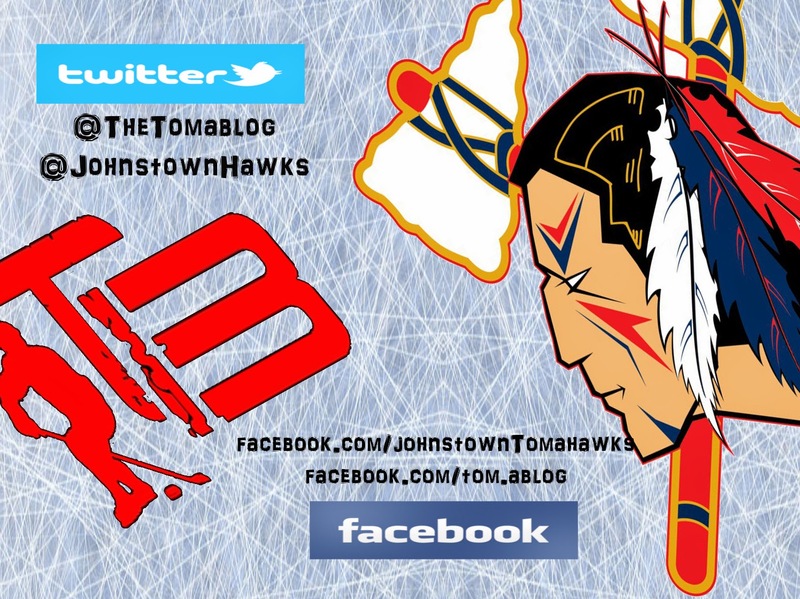 If you don’t know the Tomahawks roster and the players that have been brought in to Johnstown, we suggest you look around the blog for that information (there’s a ton of it). For those that have kept a close eye on the team during the offseason, you know that this years Tomahawks’ team may just be the most talented/hard working team management has put together thus far. The players showed their skill in two games vs the Springfield Pics. They showed their heart and work ethic on Monday vs. the Youngstown Phantoms. Now it’s time they showed the NAHL what they're made of. Gone are players like Jordan Watt, and Mitch Hall. In are players like Zach Zech and Steven Quagliata, and that’s just the tip of the iceberg. Keystone has some familiar faces that are no longer with their team, such as goaltender Max Milosek. Forwards, Elliot Tisdale, Nick Horne, Zach Badalamenti and defenseman, Jonathan Kopacka. One of the biggest names missing from Keystone is their leading scorer from last season Bryan Yim. Yim did not make the move with the team and instead will be playing in the USPHL this season. The Johnstown Tomahawks today announced that the 2014-2015 team captain will be defensman Brady Bender. To see the whole press release and find out who the assistants are this season, check out our newest post here. If you plan to make the trip down to Connellsville like a lot of the Tomahawks' fans are, make sure you carry some extra cash. Here's an aerial shot of the surrounding area of the arena. Not really any other choice than to park in the arena's parking lot. 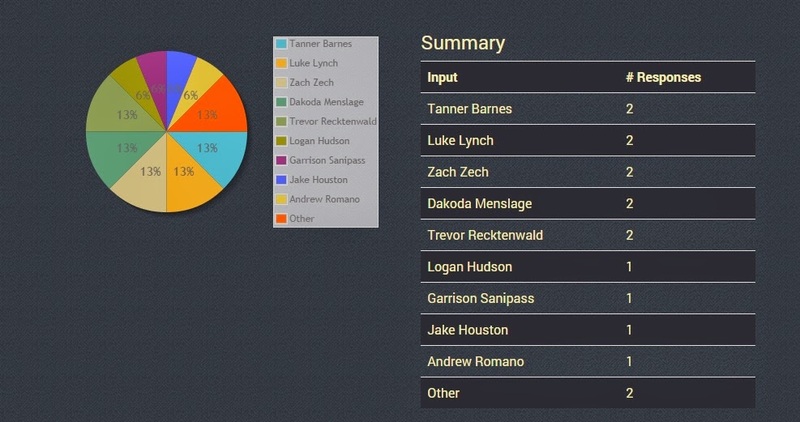 We asked this past week "who do you think will score the Tomahawks first goal of the season" and this is how you voted. No clear cut favorite. The two "other" votes went to Cam Bleck and Alex Jaeckle. There's only one other match up in the North Division this weekend and that's between the Janesville Jets and the Soo Eagles. The teams will faceoff against each other twice. The rest of the division will play their first games of the season during the NAHL Showcase which kicks off next week. Hopefully Johnstown fans can pack the arena and make it feel like a home game Saturday night. If the exhibition games are any indication this Tomahawks' team should be really fun to watch. Hopefully the team gets off on the right track and picks up two points to start the season. The Tomahawks have yet to win a game before the NAHL showcase. They are 0-3-1 on the first weekend of the season in team history. A perfect time to get the first W.